Hoping for some championship swagger. Perhaps the future of cleated footwear, model conversions have been a hot topic in the footwear industry as of late. Kanye West's Yeezy cleats have been all the talk early in the NFL season, but MLB stars are showing out on the diamond as well. Toronto Blue Jays third baseman Josh Donaldson gets conversion work done by Custom Cleats Inc. Tonight, he took the field in a cleated version of the Nike LeBron Soldier 10 in white and metallic gold, which translates to baseball very well visually. 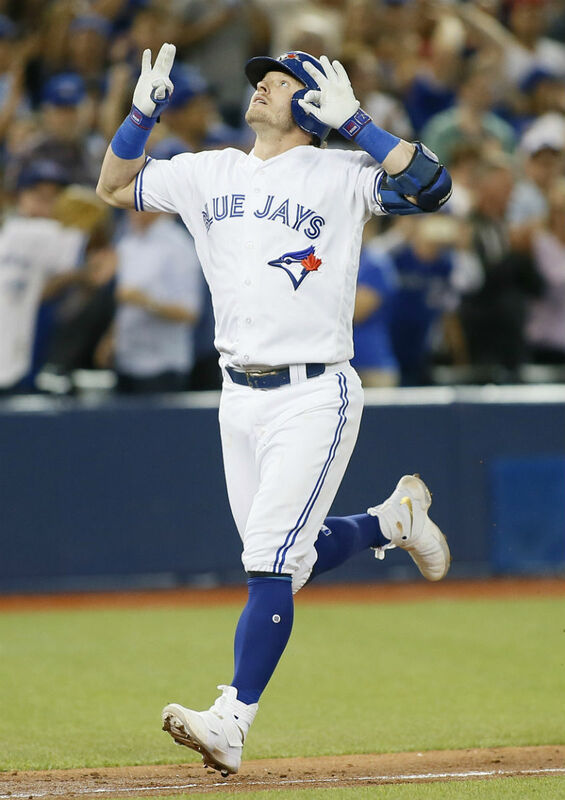 Donaldson wore blue Soldier 10s in previous outings. If you're going to wear LeBron James' championship sneakers, you have to show out — Donaldson belted his 36h home run of the season in a 9-0 victory over the Yankees.